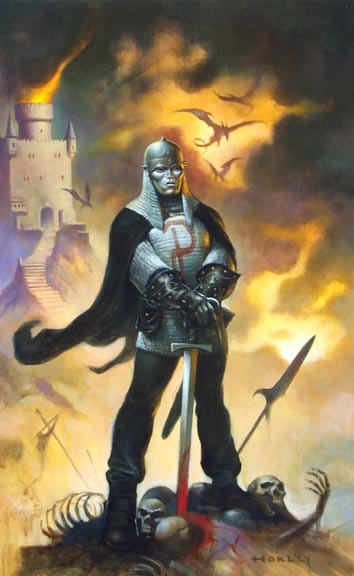 Commissiond over a decade ago, this piece or amazing fantasy artistry of The Paladin Knight was kept under wraps for a proposed publicity project that never happened. Now, here for your enjoyment is our hero in a spectacular setting. What better way to represent Good Over Evil?